For a limited time Stealth Computer is offering lower pricing and guaranteed in stock availability along with free shipping for orders placed online for it’s new 26″ 1080p Full HD Widescreen, Panel Mount LCD Monitor. 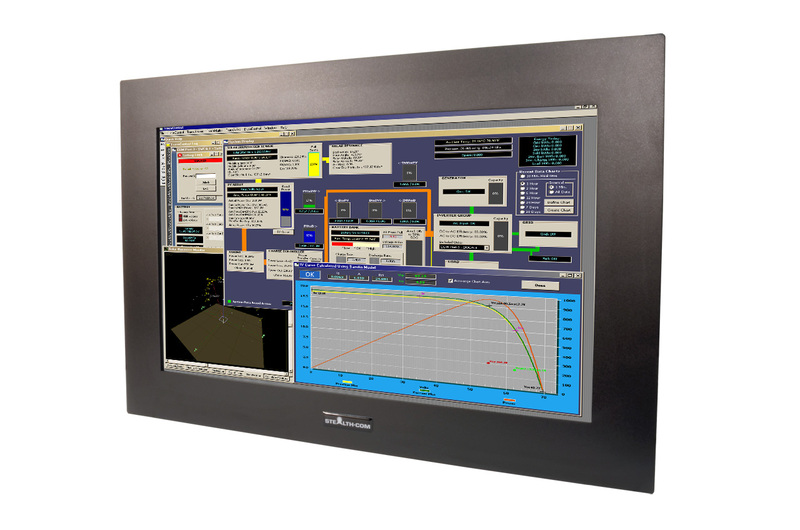 As previously announced, the Stealth’s 26″ Panel Mount Widescreen Full HD 1080p LCD is the largest industrial grade LCD monitor they have offered to date and one of the largest of it’s kind on the market. The rugged SV-2600W-PM is NEMA 4/IP65 environmentally sealed to protect from dust/dirt or liquid splashes. The 26″ LCD Monitor ships with capacitive touch screen as a standard feature and easily mounts into your panel, enclosure, cabinet, console, wall or kiosk without the need to drill stud holes. The SV-2600W-PM is built in Stealth’s world-class facility featuring our Class 7 cleanroom. The 26″ Panel Mount LCD also supports mounting of a Small PC computer on the rear of the unit to make it a All-In-One Panel PC & LCD unit. This feature provides a significant cost savings as you no longer need to run extra cables to a remote PC or invest in expensive all-in-one workstation solutions. This feature provides a significant cost savings as you no longer need to run extra cables to a remote PC or invest in expensive all-in-one workstation solutions. Ultra Small PC models such as the LPC-100, LPC-100G4 (Multi-LAN) & LPC-100M (Mobile/DC-Input) are compatible for this feature with the SV-2600W-PM monitor. SV-2600W-PM – For pricing and to order online, please click here. SV-2600W-PM – For datasheet and detailed specs, please click here.